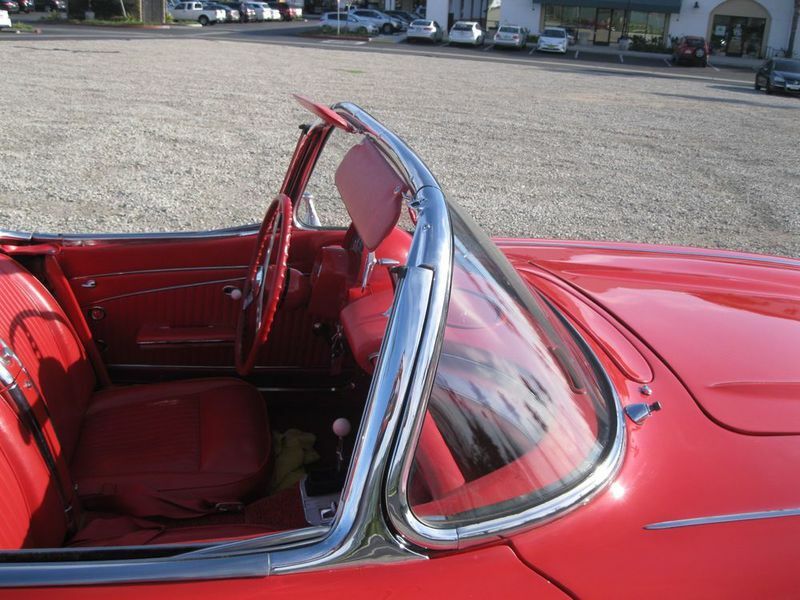 If you have any questions or would like to view the car in person please email me at: arturoshami@netzero.net . 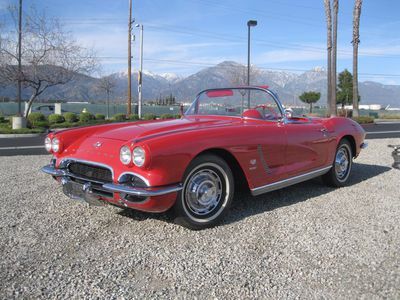 1962 Corvette. It is a fuel injection replica or clone.Injection system was installed when car was restored in late 90's ($9000 receipt). It has the correct exhaust, correct camshaft and solid lifters. 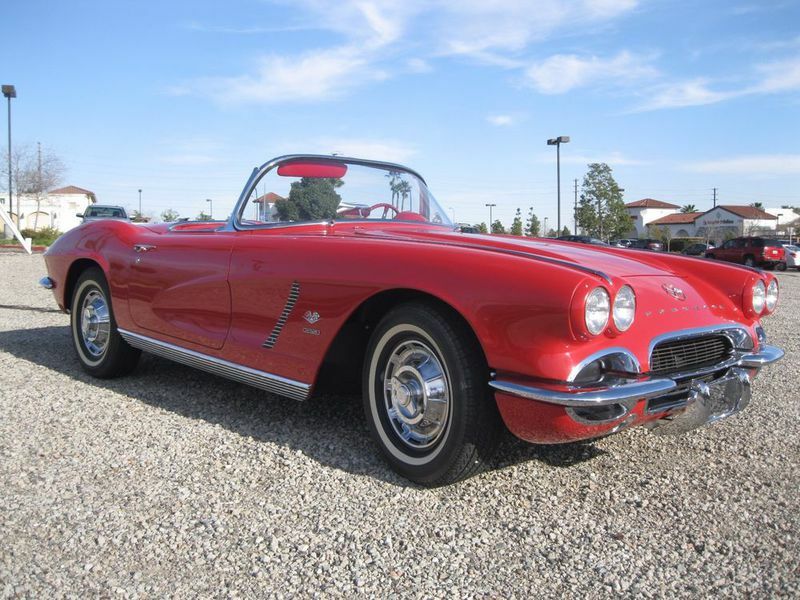 Car has a non matching but period correct 327ci (corvette block) the correct fuel injection system from 1962. Matched to a 4 speed manual transmission. Car is very nice and received a professional frame off restoration in the late 90' Paint is nice and shiny, shows really good but is not concourse quality. Gaps are good, doors fit is nice. Body is very straight, bumpers, trims, emblem all have a good fit. Chrome has been triple plated, stainless polished. Everything is in great condition. Hubcaps have been re plated. Engine compartment is clean and nicely detailed. Engine does not leak. It runs really strong and has a lot of power. All the hoses belts etc... are correct. Transmission shifts good. All the brakes and steering components and suspension are in like new condition. Frame is excellent no rust or damage. Interior is flawless, no damage or stain, all the gauges work properly. Top is brand new and is from Al Knock. Tires are also like new.